There is a scene, late in Steve McQueen’s 12 Years a Slave, which makes the horror of slavery painfully manifest: Solomon Northrup (Chiwetel Ejiofor) — once a free man but now a slave in the employ of Louisiana plantation owner, Edwin Epps (Michael Fassbender) — is forced to lash his fellow slave and friend, Patsey (Lupita Nyong’o). It is the sort of scene that garners a film an Oscar, gathering all of the atrocities of the slave trade into a single, unforgettable moment. With each crack of the whip, the human beings involved are reduced to something less than human, and so, like Schindler’s List before it, 12 Years a Slave becomes something more than a “movie.” It is a witness to human tragedy. 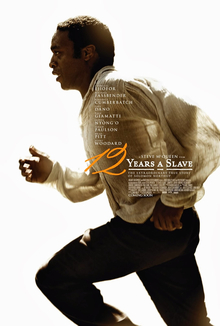 Northrup’s insight here points to one of the more subtle lessons of 12 Years a Slave. People tend to approach moral questions in binary terms, but the truth is devastatingly more complex than that. Ford may very well have been a “good” man — as his ancestors have recently protested — but his notion of “good” was significantly indebted to a nefarious culture. Moreover, this is a problem that threatens all of our moral reasoning. What looks to be right and normal today may not be viewed that way in subsequent times; in fact, it may just be the projection of a culture that has been warped by envy or greed. Doubtless, that is just another reason why, for St. Paul, one’s salvation is never a matter of course, but must be worked out “with fear and trembling” (Phil 2:12).